A Fibonacci series is defined as a series in which each number is the sum of the previous two numbers with 1, 1 being the first two elements of the series. static keyword is used to initialize the variables only once. 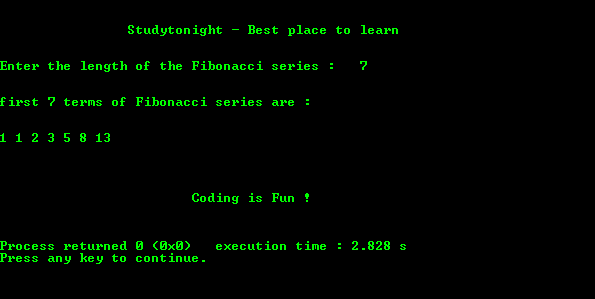 Below is a program to print the fibonacci series using recursion.